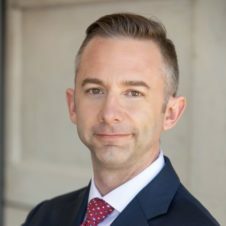 Joshua Fahrenbruck is a Director of Investor Relations of Humphreys Capital. In this role, he shares the story behind our team and communicates the strategy and performance of our investment platform while initiating relationships with long-term partners. Previously, he worked as Vice President at J.P. Morgan Private Bank and Communications Director at Kimray. Joshua has been recognized as an “Achiever Under 40” and currently serves on the boards of Allied Arts, Oklahoma Venture Forum, Oklahoma Contemporary, and the Crossings Clinic. Joshua earned a Master of Business Administration from Oklahoma City University and an undergraduate degree in organizational leadership from Southern Nazarene University. He and his wife, Marni, have 3 children and live in Oklahoma City.